LARGE DOME TENT FOR CAMPING 6 PERSONS – With a center height of 72-inches, our instant dome tent can comfortably fit 2 queens sized air mattresses and sleep up to 6 persons! 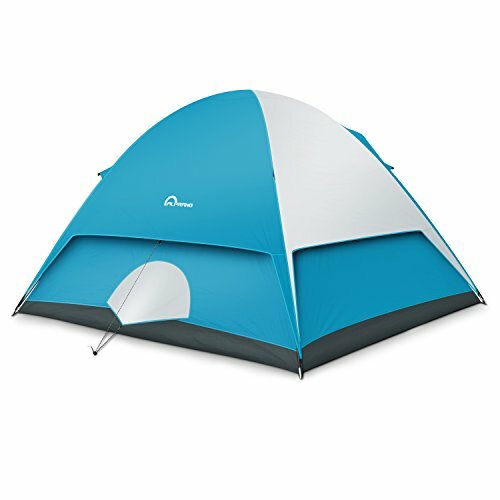 (It is larger and more spacious than the camping dome tent offered by our competition). WELL-MADE 6 MAN TENT -1000D heavy duty polyethylene with sealed seams & fully taped rainfly, offers superior protection from the elements. 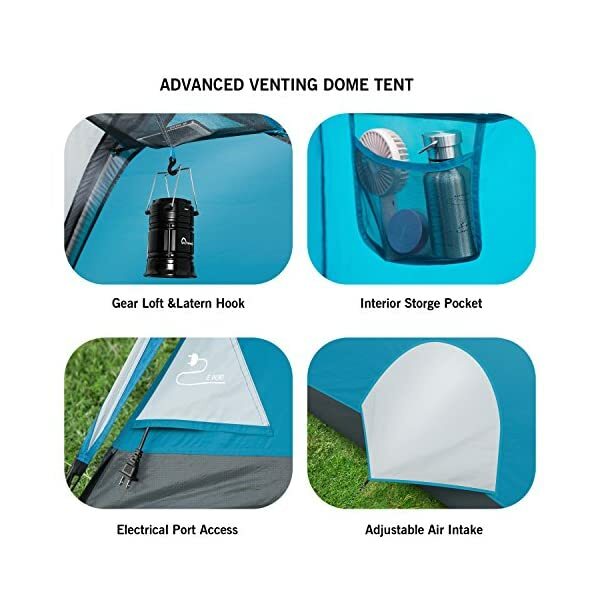 One large, centralized door for easy in/out and adjustable ground vent for air circulation. Love it and have a sweet sleep ! 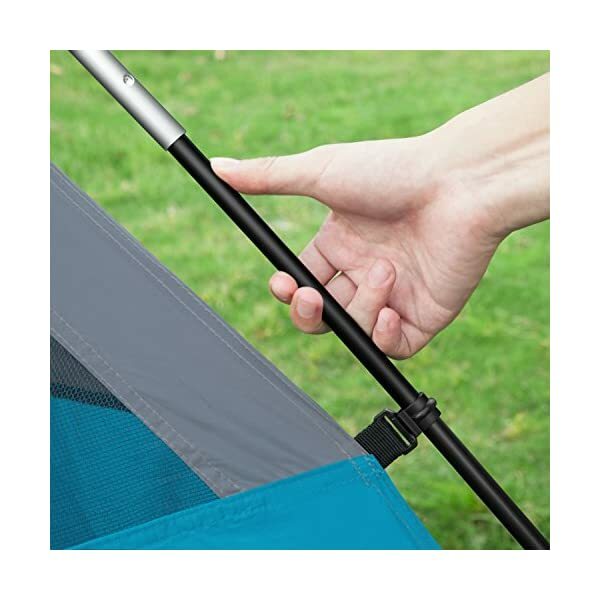 EASY TO SETUP – Extremely easy to erect in just a few minutes thanks to the simple pole design and quick clip system. 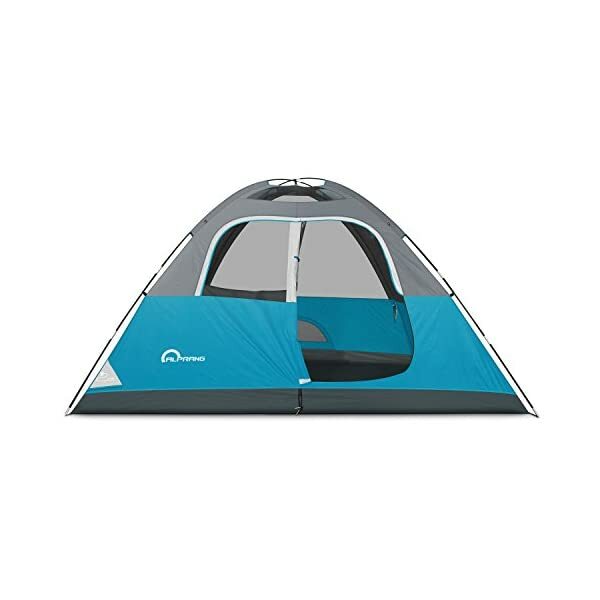 It offers plenty of room to sleep, interior mesh storage pockets to keep items organized and a lantern hook to light up the tent at night! 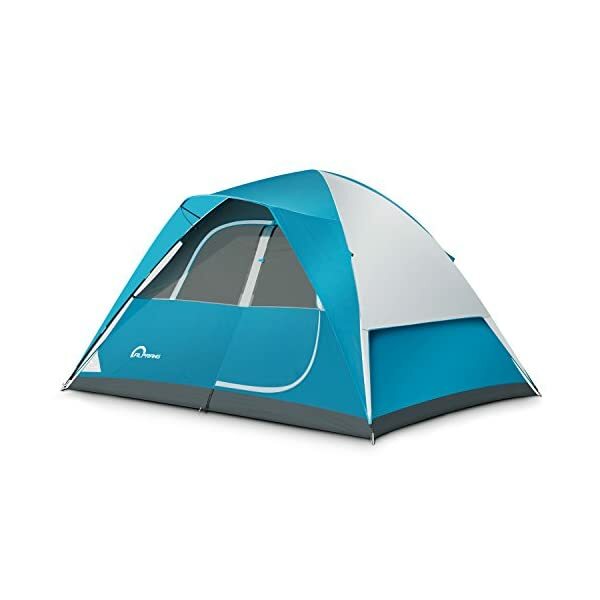 Enjoy every weekend at the campsite using our family camping tent which is built to sleep six campers! 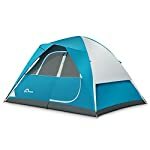 Are you searching for an easy to setup, easy to transport – camping tent that can keep you warm and dry while also protecting you from the elements? 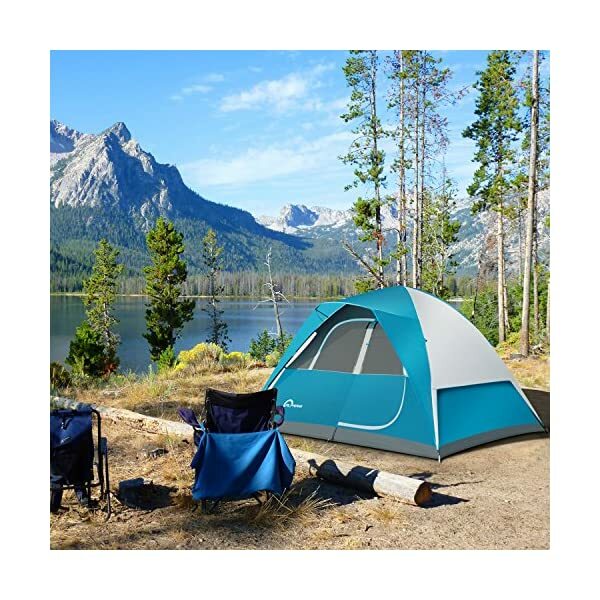 You need our large dome camping tents! 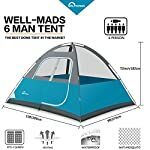 Quick to erect and take down with plenty of room to sleep six persons. 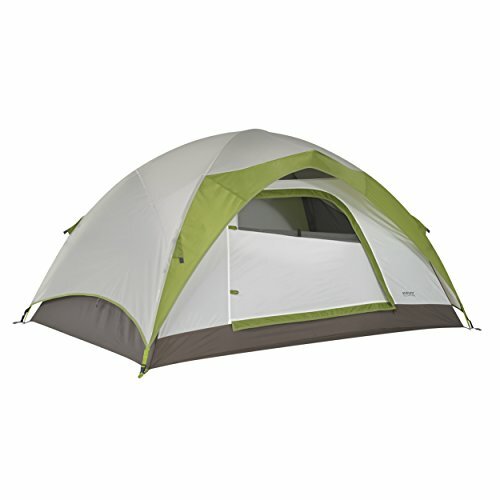 Includes electric port, gear pocket, ground vent, loft, fly, & stakes! 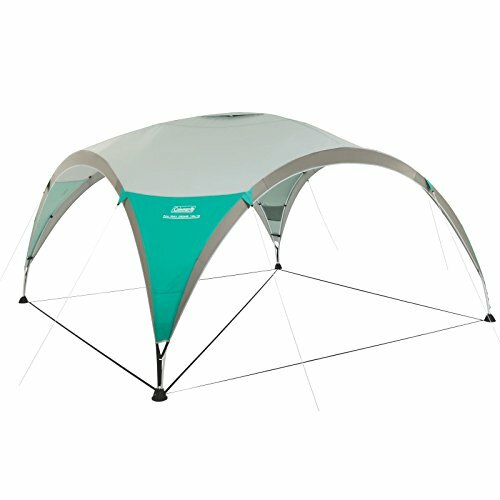 Stays light when wet and dries 3-5 times faster than other dome tents. 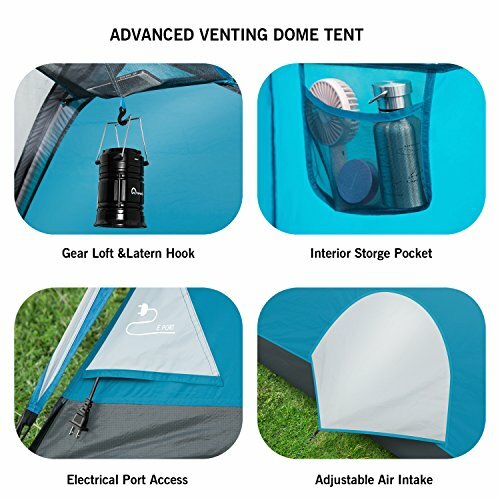 The adjustable ground vents combine with tent windows for proper ventilation and a mesh ceiling to allow hot air blow out. 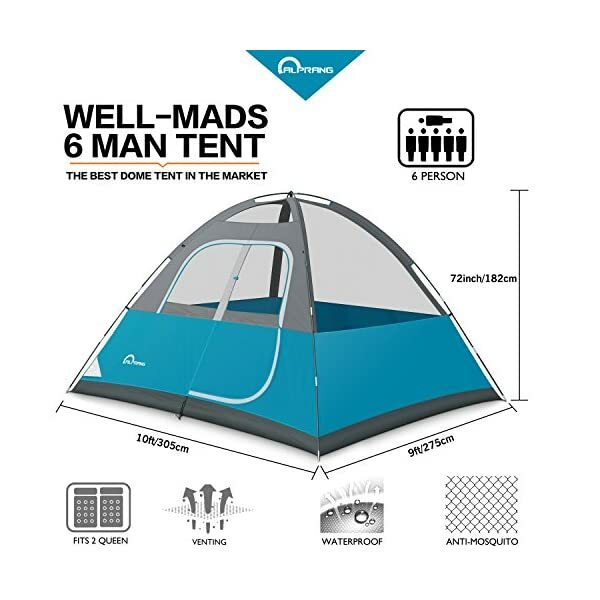 Weighing a little above 5.9 kg and coming with a FREE carry bag, our camping tent is easily transported to and from campsites, festivals, backpacking adventures, etc. 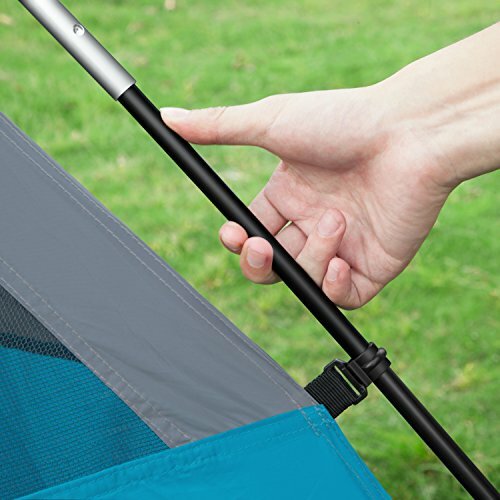 Built to last with professionally stitched seams and sturdy zippers! 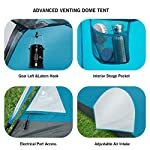 Will continue to serve you when other dome tents have packed up! 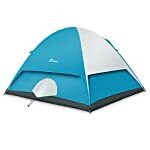 Designed with water repellent fabrics, rain resistant doors & windows, sealed seams and fully taped rain-fly which will keep you dry even if it rained cats and dogs at the festival. 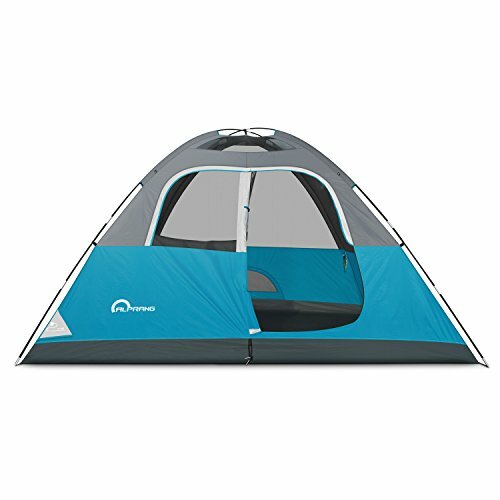 Whether you are a seasoned veteran or a first-time camper, this 6-person dome tent is for you. 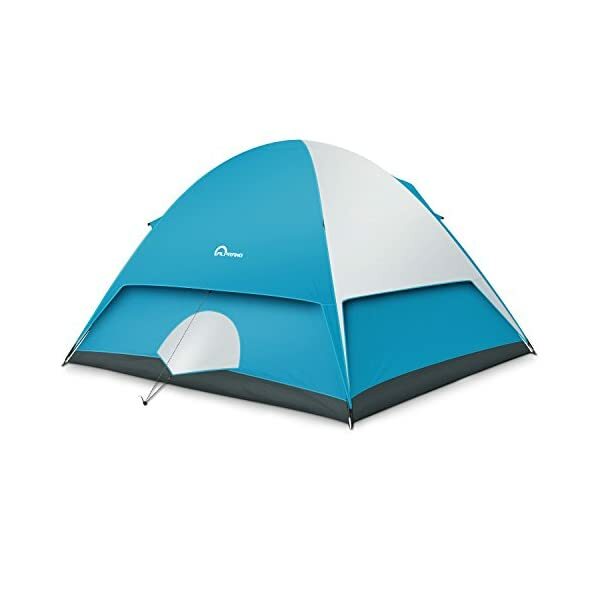 it is suitable for family getaways, festival with friends, campsites, etc. 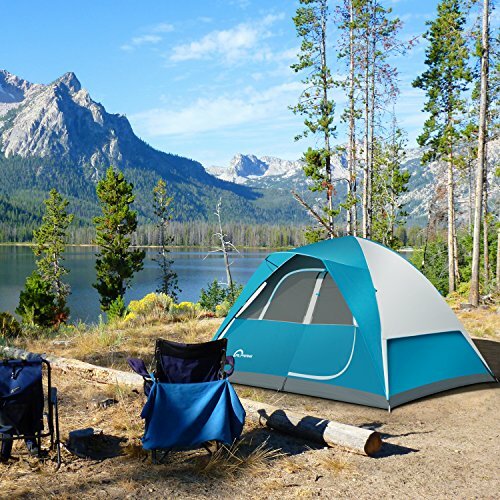 Love Your Life, Love The Outdoors, Love Our 6 Person Tent Dome Tent! 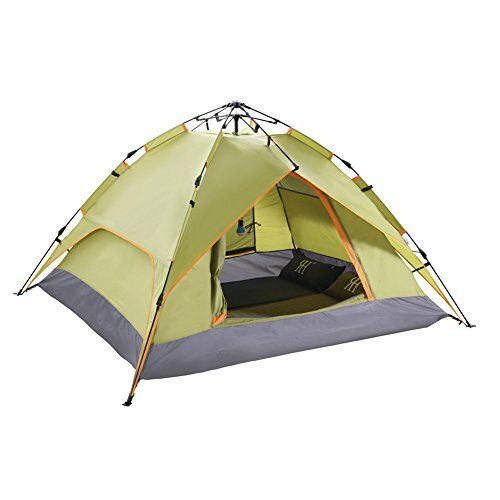 CLICK THE YELLOW ADD TO CART BUTTON TO BUY NOW, THEN ADD ONE MORE FOR AN OUTDOOR LOVER! POWER SUPPLY ACCESS PORT – Comes with a power supply access port, which can be hidden away, out of sight when not in use! 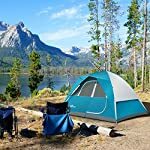 BEST TENTS FOR CAMPING – Whether you are a seasoned veteran or a first-time camper, this 6-person dome tent is for you. 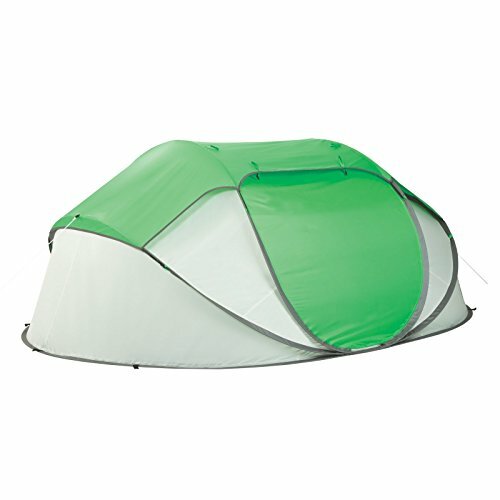 It is suitable for family getaways, festivals, campsites, etc. Each package includes rain fly, tent stakes, and a carry bag for convenient travel and storage!